We are David and Kim Squirrell, maker and artist working together to create handcrafted books, prints and greetings cards. As an art and craft partnership we bring the precision and skill of the bookbinder and the imagination of the artist together in our shop where we make, share our skills and curate handcrafted work both beautiful and useful, to enhance the home and work-space and enrich everyday life. Each quarter we showcase a local practitioner, each individual brings a new dimension to the space and our own work. We want to celebrate contemporary craft-workers and artists. From the wood-turner who planted the tree to the painter who chooses linen and pigments, makers and artists are connected to their material in a host of ways, their inspiration and process illuminates the work and is a story rich in the telling. 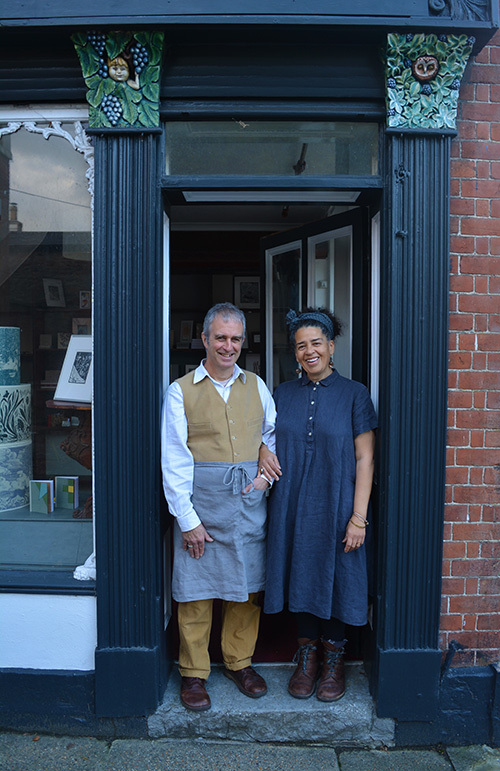 Follow our stories, browse our gallery, start shopping, or better still come and visit us in Bridport.